No doubt you’ve heard about the 4th Industrial Revolution, or Industry 4.0. This revolution is happening right now, even as you read these words. Here’s what you need to know to get up to speed. Technology is becoming a more important part of our everyday lives and, even more importantly, and bigger part of our industries. Everyday, business is becoming more and more digitized. One of the most exciting, but also at times most confusing, technologies that is becoming ever more prominent is virtual reality, or VR. You’ve seen people wearing these futuristic looking headsets, and maybe you’ve even tried it yourself. But how does this tech fit into the heavy engineering industry? The first benefit of VR is that it gives both customers and trainees a detailed machine presentation with full functionality. You can embed a demonstration straight into your landing page, allowing prospective buyers to experience the full force of the machinery, including any required supplies like water, air pressure, or vacuums. Plus, it provides a completely safe way to experiment with and learn about dangerous machinery. Using a virtual showroom, you can show all of your machines at once. No more do you have to pick and choose which to bring to the trade show; instead, create a full-fledged digital portfolio that visitors can browse at their leisure. Speaking of trade shows, virtual reality dramatically cuts trade show budgets. Instead of having to pay a steep price for transportation and maintenance, just upload a file on your website and be done with it. Lastly, you can bolster your reputation as an innovation company. Customers are often impressed by the “wow effect” of new technology and will be happy to work with a company affiliated with Industry 4.0. Of course, there are some things that we need to work around. One of the minor drawbacks of VR is that both your server and the customer’s host require HD graphics capacity. We’ll need pretty powerful machines if we want to get a good picture. But, given the current state of technology and the need for powerful computing in the engineering business, this shouldn’t be too hard to achieve. Further, not all devices have VR capacity. In order for the buyer to access your interactive 3D presentations, they’ll need to have the right tools. These, however, are becoming cheaper and more accessible with each passing day. Even though you’ll save money in the long run on trade show costs, there are upfront costs. Developing VR apps and the hardware that you’ll need to run it do cost, but they are an investment that will give you a huge ROI compared to conventional, older methods. Even though it’s close to reality, nothing can replace the real deal. If you do decide to employ this technology, use hybrid approach where customers can still access the physical machinery and have direct in-person communication with sales representatives. No two companies are the same, so it’s crucial that you look at your own specific needs and market to decide if this technology is right for you. 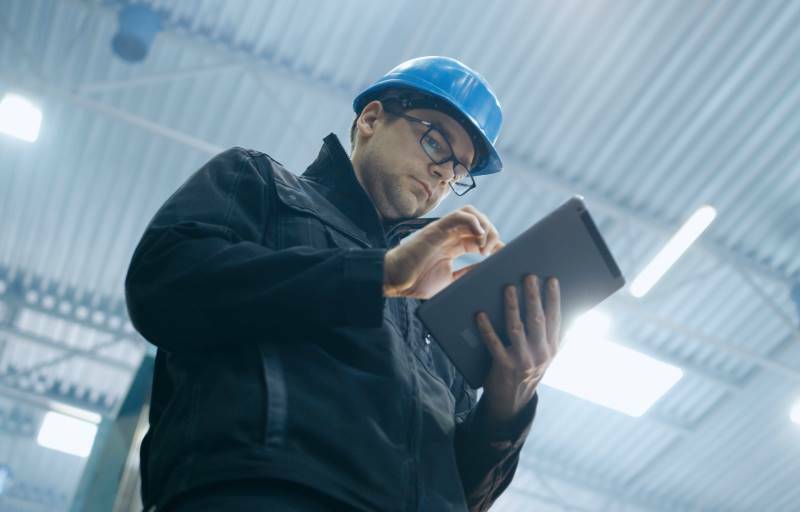 If you want help answering these questions, then look no further than VISARD, the leading producer of advanced technology solutions tailored to the engineering industry.